Return to the paranormal world of Brogio, the First Vampire…. 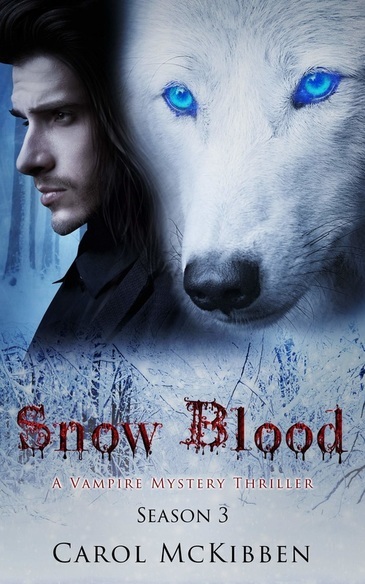 Snow Blood, Kindred dog of Brogio, the first Vampire, has faced dangers and intrigues alongside his Master – defeating the threats that assault them time and time again. Now, another evil looms, one more powerful and daunting than any they have known before. This time, the threat may separate him from all he loves… forever. While fighting for the existence he has grown to love, Snow Blood is challenged to prevent a plan to enslave his family and the entire vampire nation. As Snow Blood’s pack struggles to uncover a mysterious disappearance, a hidden truth about Kane, Brogio’s eldest blood son, is revealed. Now only Kane is able to prevent their impending fate and reunite them all. ​5-Stars for Snow Blood 3!